Ever wondered how the insurance premium you are paying is compared to that of an exotic car? Insure.com has the answers, with a list of the 20 most expensive cars to insure in the United States. Not to be complacent, they have also provided a list of the 20 least expensive cars to insure. The average insurance premiums listed above are based on the rates for a 40-year-old man who commutes only 12 miles to work. Apparently, the most expensive insurance premiums are for cars whose owners repeatedly file high insurance claims for pricey damage repair, thereby affecting all owners of those cars. That makes owners of cars with the least expensive premiums relatively safe drivers overall. 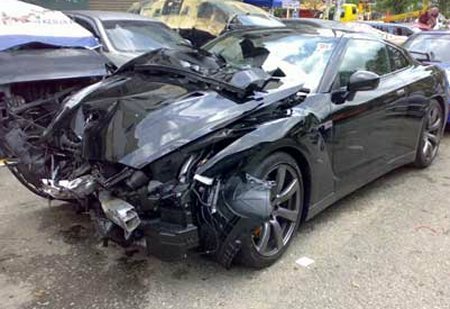 The list also proves that too many Nissan GT-Rs are being exclusively bought by nouveau-rich douche-bags retarded enough to crash the safest-handling car in the world.